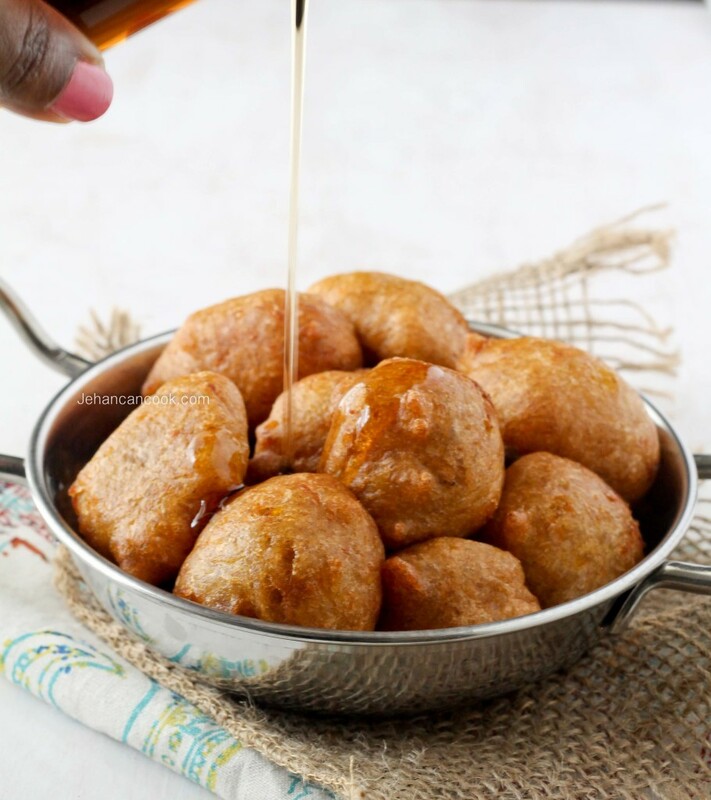 Pumpkin fritters, a popular Caribbean treat is perfect for breakfast. Sprinkle with powdered sugar for a dessert treat. I’m not a big breakfast person and I guess that accounts for the lack of breakfast recipes on this site. I’ve made a conscious effort to add more breakfast foods; after all it is the most important meal of the day. While I don’t really eat breakfast, I do make it for my husband and son on a daily basis. 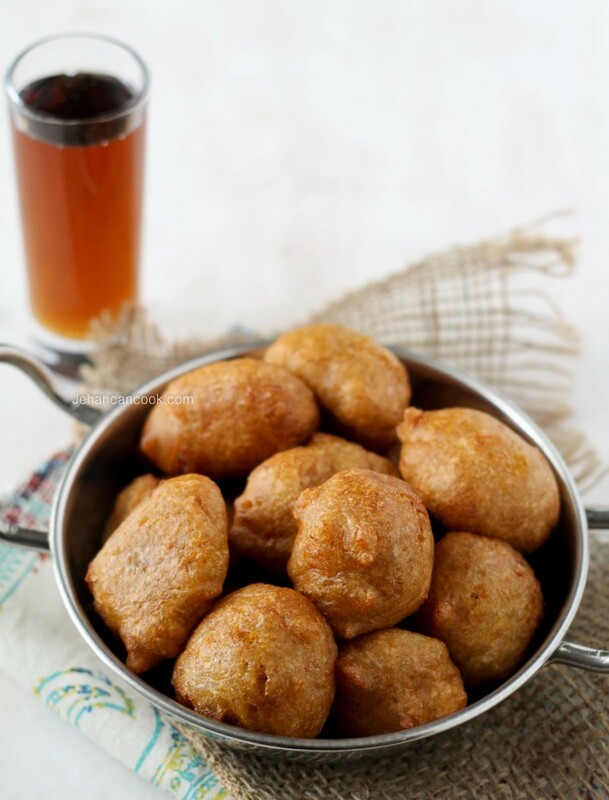 My sister in law treated to these scrumptious little fritters when I was visiting in Trinidad a few months ago and I knew immediately that this was worth a share. This is a very popular breakfast in Trinidad, Barbados and other countries in the Caribbean. I loved having this with a tiny dab of butter and a bit of maple syrup; it’s quite the breakfast treat! 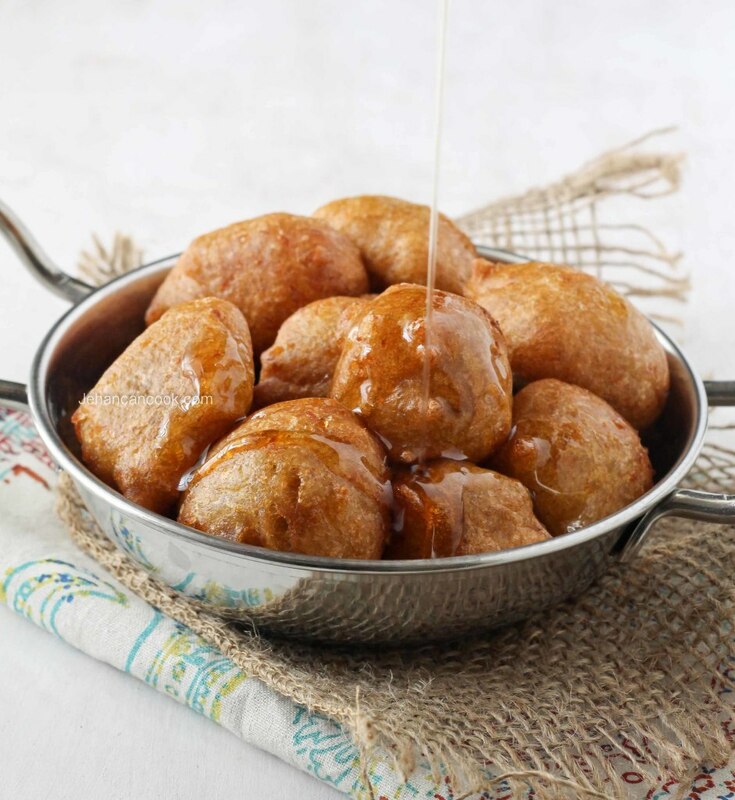 Have you ever had Caribbean pumpkin fritters? What do you typically make for breakfast? Place pumpkin and water in a small pot and cook until soft, about 20 minutes. Strain pumpkin; make sure to reserve the liquid. Allow the pumpkin and liquid to cool for about 20 minutes. Mash pumpkin and add flour, baking powder, egg, sugar, cinnamon, vanilla, nutmeg and about ¼ cup of the reserved liquid. Place oil in a frying pan over medium heat. When oil is hot, drop spoonfuls of batter into the oil and cook until golden brown. Serve with a dab or butter or if you prefer it a bit sweeter sprinkle with powdered sugar or drizzle with maple syrup.